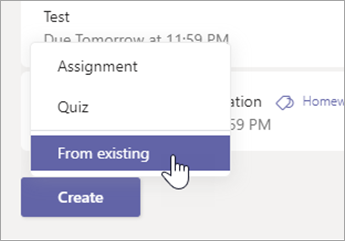 At the end of the school year, it’s a good idea to archive the teams you’ve made for classes in Microsoft Teams as you prepare for next year’s classes. 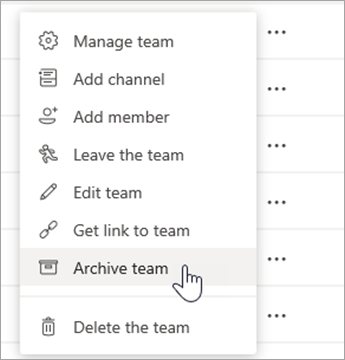 Archiving a team removes the team from your “Active Teams” list and freezes team activity. All content associated with the team will still be saved and you will be able to access it at any time. This includes files, conversations, grades, and assignments that you can re-use later. If you are an IT Admin planning to use SDS to archive teachers’ classes, please give teachers notice of when classes will be archived. You can share the following information with them so they know where to find archived classes from prior school years, and how to re-use assignments for future teaching. Archiving does not delete a team. In an archived team, all activity in the team is frozen. This includes the ability to add or edit channels, post messages, or create new assignments. However, team owners can still add or remove team members and update roles. The team will no longer appear in the left rail with other Active teams. If you are a teacher and your IT Admin will not be using SDS to archive class teams, you can archive teams on your own. Select the Manage gear wheel at the bottom of the left rail. Select the More options … ellipsis next to a team’s name, and then select Archive Team. To view a team you’ve archived, select the Manage gear wheel again and scroll down to view the expandable list of Archived teams at the bottom of your teams list. 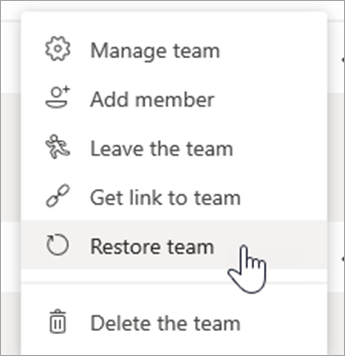 Make a team active again by selecting the Manage gear wheel, selecting the More options … ellipsis next to the team’s name, and choosing Restore Team. Navigate to the General class of your current class, then select Assignments. Select Create > From existing. 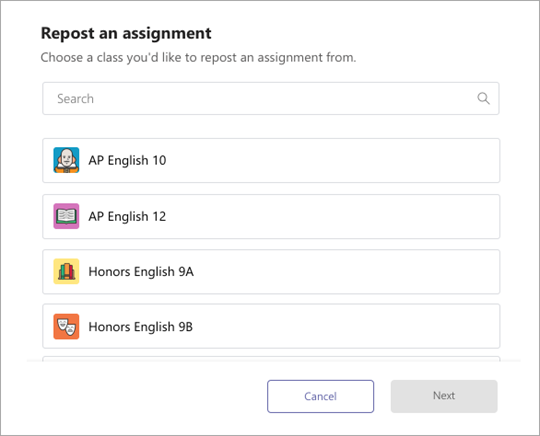 Follow the steps to choose the original class and the assignment you’re re-using. Fill in or edit assignment details as usual and choose classes or individual students to assign the work to.